When life gives you lemons, you make lemonade. And when life hands you brown bananas, you make banana bread! And when the brown bananas are actually plantains? 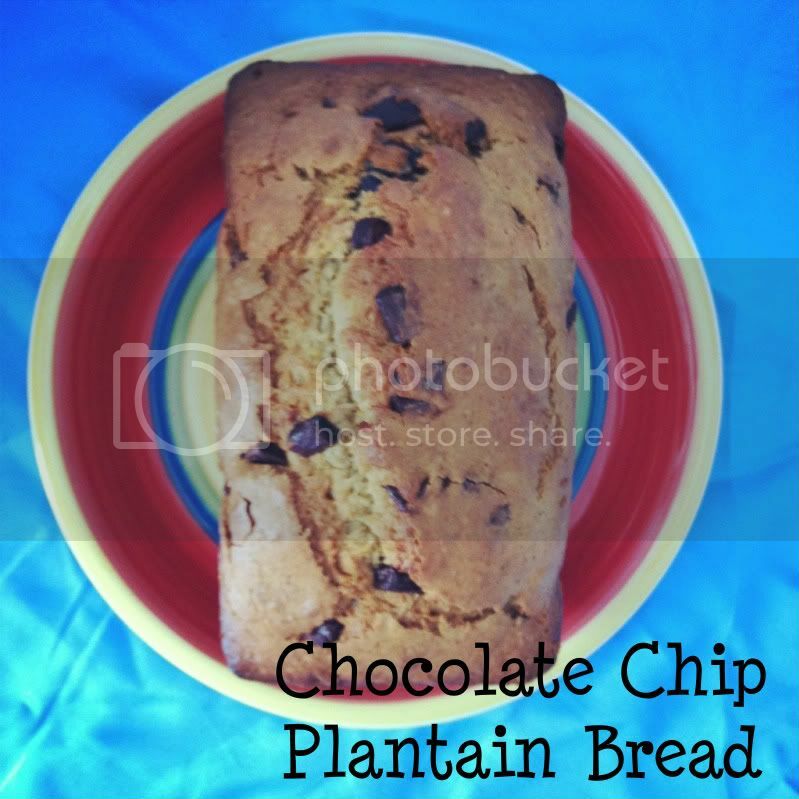 Why you make Chocolate Chip Plantain Bread! Plantains aren't as sweet as bananas, so adding the chocolate chips gave it just the right amount of needed sweetness. In a large bowl, combine flour, baking soda and salt. In a separate bowl, cream together butter and brown sugar. Stir in eggs and mashed plantains until well blended. Stir banana mixture into flour mixture; stir just to moisten. Stir in chocolate chips. Pour batter into prepared loaf pan. I never thought of using plantains in this type of bread! I guess I should just say "Duh!" since they are in the banana family.